Factfulness: Ten Reasons We're Wrong About The World - And Why Things Are Better Than You Think by Hans Rosling, Ola Rosling, and Anna Rosling Rönnlund is as the title clearly says about Facts. In the blog post Upgrade your phone, your computer, and view of our World, we explored the importance of updating our view on the world based upon facts. In this blog post, we will explore asking people about their views when making predictions about the future. The future size of the human population is used to make predictions about the future of the world, the future economy, the future of city planning. . . But how are the future size of the human population calculated and more improtantly, how realiable are they? The United Nations, regarded as one of the most trusted authorities when it comes to predicting populations, say that by 2 100 the world population will be around 11 billion (2050 - 9 billion). The underlying assumption is that despite various regulations, technologies, and policies to make humanity use fewer resources, people will continue to reproduce. 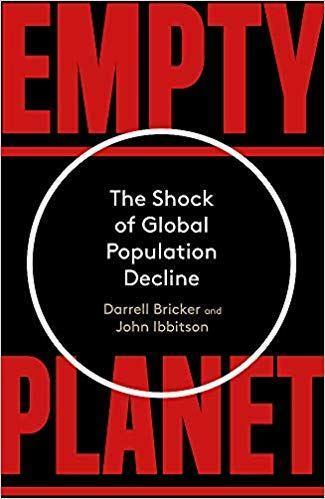 The book Empty Planet: The Shock of Global Population Decline by Darrell Bricker and John Ibbitson makes a completely different prediction. "In roughly three decades, the global population will begin to decline. . . Once that decline begins, it will never end." The focus in this book is not on using statistics to predict the future, instead, the authors are exploring what is driving the choices people are making. They are eavesdropping on the conversations young professionals have at parties in Brussels and over drinks at a young professionals' club in Nairobi. In contrast to the prediction made by the UN, which is based on vertical knowledge, or "everybody knows" knowledge, they asked "real people" about the choices they are making and using these data to make predictions about the future. The UN bases its model on three things: fertility rates, migration rates, and death rates. This prediction does not consider the effects of education for females or the speed of urbanization, although the effcts are included in the other three varibles. But if the effect of education for females is used as a separate variable the prediction might according to some estimates be 8 to 9 billion in 2100. If you use data where you actually asked young people about how many children they are planning to have, the answer is two children. The authors asked people in 26 countries around the world. Keeping an open mind and exploring contradictionary theories will broaden your views and may help you to make your predictions.